As the hot and sunny summer season comes to a close, many fair-haired ladies are opting for a darker hair color. But cooler weather and the changing season don’t mean that you have to fully give up your blonde locks! A mixture of “brunette” and “blonde,” bronde is quickly becoming a popular hair color this fall. A bronde shade is perfect for blondes who are ready to go a little bit darker (but aren’t quite ready to go brunette) or brunettes who would like to try a lighter hue. Talk to your stylist about how much darker or lighter you’d like to go so they can create a unique color combination just for you. No matter which bronde shade you choose, we bet it’ll look gorgeous with the surrounding fall colors. 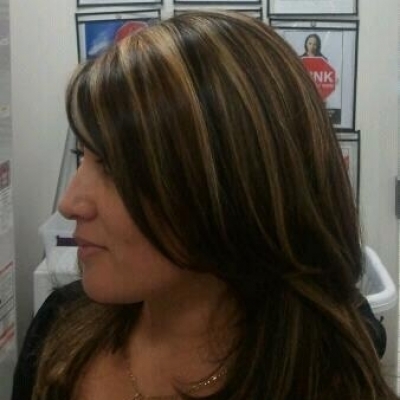 If you’re looking for a subtle hair color change, highlights are a great option. 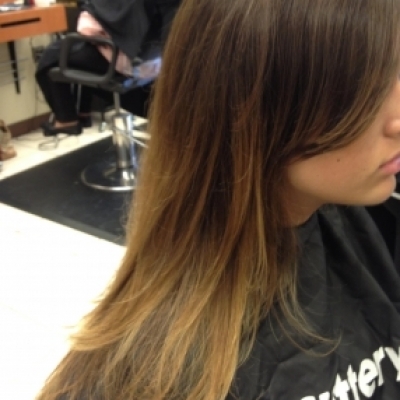 This season, brunettes are amping up their color with subtle streaks of gold. To achieve this look, start with your current brunette shade – or opt for a new application of a rich, chocolate brown - and ask your stylist to add thin golden or copper highlights around your face and through the mid shaft. The result will be a beautiful chocolate caramel color that is perfect for the fall and winter seasons. Nothing says fall like a vibrant shade of red or auburn. This season, many blondes and brunettes are making a style statement by trading in their existing hair color for this fiery shade. Are you ready to go red? 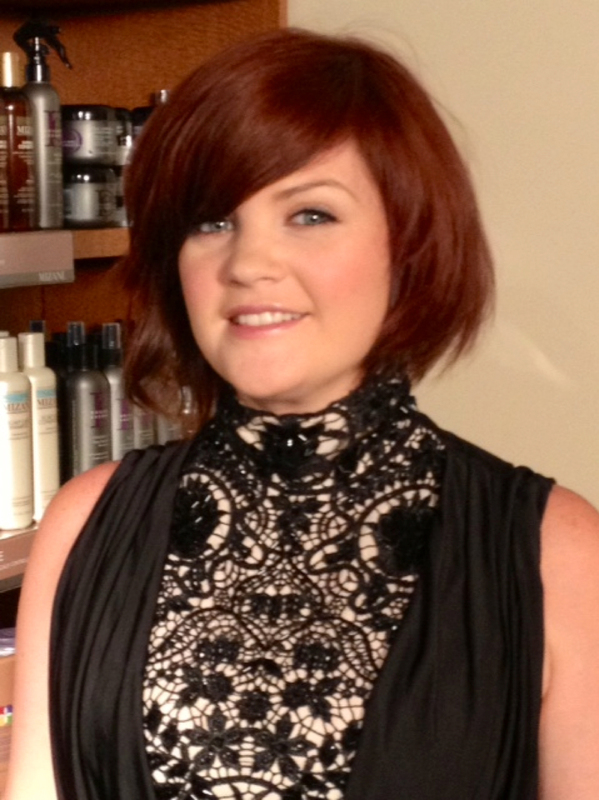 If you’re looking for a coppery finish, ask your stylist to weave golden highlights into a red base. For those of you who want a warmer red, talk to your stylist about adding some warm brown undertones to a deep red base for a rich color that will make you stand out in all the right ways! The ombre trend isn’t going anywhere anytime soon, but it is evolving. This season’s ombre is much more subtle – instead of a clear demarcation between shades, they now blend together to create a softer, more gradual color change that looks sleek and polished. Talk to your Hair Cuttery stylist about how subtle or noticeable you’d like the color change to be, and the overall style you’re looking for. 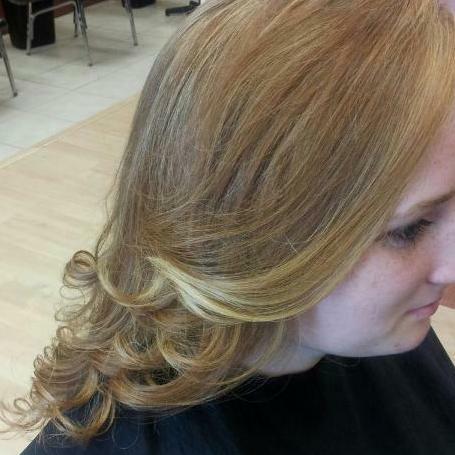 They’ll create a customized plan for your color service that will give you the perfect ombre look for the fall season. If you’re ready to try one of these gorgeous fall shades, visit your local Hair Cuttery salon. You can also find more color inspiration in our Get the Look style gallery!